New Delhi: Glitches, legal issues and indecision continue to plague Goods and Services Tax (GST) regime, India’s largest tax reform since Independence. GST woes have had a dampening effect on many sectors but perhaps the deepest cut has been seen on India’s exports. According to latest data released by the government, India’s trade deficit in October widened sharply to $14 billion from $9 billion in September this year and $11.13 billion in October 2016, because of weaker exports and simultaneous increase in oil and gold imports. 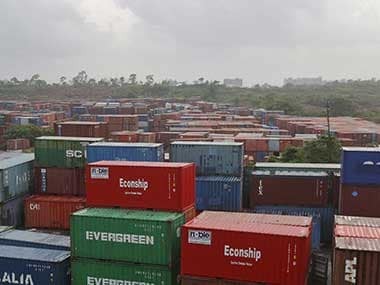 A sharp fall in export of items such as readymade garments, gems and jewellery and leather products has resulted in a 1.2 percent year on year decline in exports of merchandise in October to $23.09 billion. This is the first such decline in almost 13 months when merchandise exports were surging. In October, imports increased 7.6 percent to $37.11 billion. This decline in exports and continued increase in imports lead to the widening of the trade deficit. Why did exports plummet so sharply? Well, according to Ajay Sahai, Director General and CEO of the Federation of Indian Export Organisations (FIEO), acute problems of refunds under GST lead to this situation. Micro and small export firms faced unparalleled funds crunch and then stopped taking fresh export orders. Sahai estimated that in four months since July when GST came into effect, “about Rs 40,000-50,000 crore” has been pending with the government in the form of GST refunds to exporters. 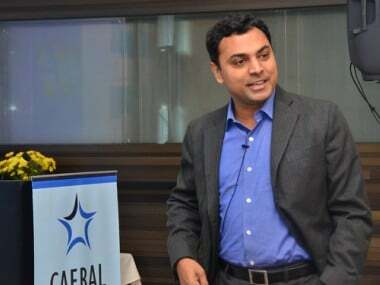 He said the government has technical and legal issues with the GST system, saying some parts of the GST regime are under dispute while some others have legal issues as far as refunds to exporters are concerned. "The refunds to exporters need to be expedited on a war footing now, because micro and small sector exporters are facing huge liquidity problems. Many have been refusing further orders as they hardly have any finances". He said in value terms, these small and micro industries comprise 40-45 percent of India’s total export basket whereas in volume terms, their share is even higher, which is why they have the most to lose from GST glitches. Analysts at brokerage Edelweiss said in a note to clients this morning that non-oil export growth moderated a bit to 9 percent from 11 percent previously with acute weakness seen in some labour intensive industries – textiles, leather and gems/jewellery. They also pointed out that growth in non-oil/non-gold imports is holding up at mid-teens on trend basis led by imports of metals, coal and chemicals. 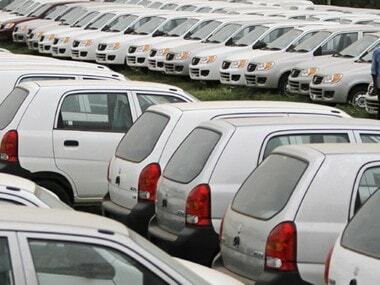 “Part of this could be import substitution as domestic demand remains soft”, analysts said, adding agriculture imports have also slowed, suggesting that import duty hikes in few agri-commodities in recent months may be taking effect. Of course, the overall decline in merchandise exports from India is all the more glaring since global trade has been holding up these last few months. The sustained weakness in India’s exports, particularly from labour intensive sectors, merely points to internal glitches – namely the GST woes. This piece in Mint quotes FIEO president Ganesh Kumar Gupta as saying that exports should be kept out of the purview of GST since paying the tax first and getting a refund was cumbersome. “There is immediate need for remedial measures to prevent further decline in exports; otherwise the situation may be worse for November. 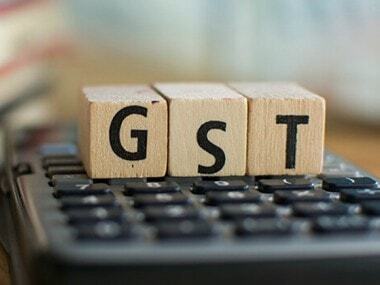 Implementation of the measures approved by GST Council is not taking place; as a result challenges faced by the exporters remain the same,” he said. Exporters’ complaints on refunds had earlier prompted the GST Council to allow duty-free sourcing of materials for export production until March 2018. Besides, the council also introduced a 0.1 percent GST rate for merchant exporters, offering relief from the fully applicable GST rates on procurements. But in its latest newsletter, FIEO has pointed out that even this move has failed to ease exporters’ woes. “Several exporters are also complaining of continued difficulty in getting refunds and credits under the new regime, which has made life tougher…..The rules finalised by the Central Board of Excise & Customs are seen to be so cumbersome that it has not benefited these exporters, who complain that their entire margin is wiped out if they pay the product-specific GST.” Stipulations such as using only registered warehouses, sharing details of buyers along with the price at which an item has been exported – all these are new stumbling blocks for small exporters and their capital woes remain intact. 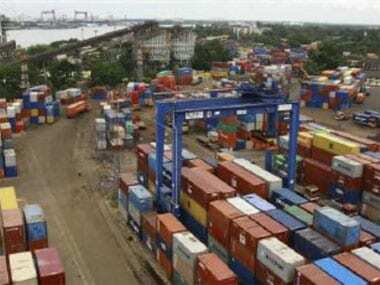 The government, on its part, believes it has provided much-needed relief to exporters. In an interview to CNBC-TV18 earlier this week, Commerce Minister Suresh Prabhu asserted the situation for exporters has “significantly improved”. He also spoke of a three-pronged strategy to boost exports. This includes support to the top 10 items India exports, try to identify new items for exports and find new export markets. “Where can we export? There again our strategy is very simple. I went to Latin America, Cuba, Panama, why? It was because in geographies like those there is a tremendous scope. So, talking about only 10 top markets of India where we are already doing well, where we have already got a relationship, we will protect those markets but that is not enough. We need to explore new markets otherwise saturation will come after sometime and it will not grow. So, we are identifying countries where even small little share of exports can significantly - aggregating to all the exports will be significantly higher.” Amen to that.